Obituary – Mossman, Romaine Subert « Perry High School Alumni Association, Inc.
﻿Basketball ’45-’46, Band ’42-’46, Perryscope Staff ’45-’46, Annual Staff ’45-’46, Home Room Pres. ’43-’45, Student Band Director ’45-’46. A memorial service to celebrate the life of longtime Woodward attorney Romaine Mossman will be held in the First Presbyterian Church, Woodward, at 2 p.m. Monday, March 26. 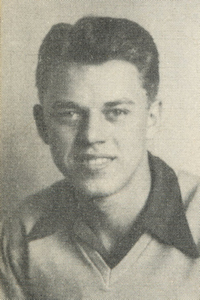 Born on March 12, 1928, Romaine S. Mossman was the son of Hubert and Sylvia Mossman of Perry. He grew up in Noble County, graduating from Perry High School in 1947. In the fall of 1947 he enrolled in Oklahoma A&M College, now Oklahoma State University. During his undergraduate years, he was a member of Beta Theta Pi fraternity, and he played trombone in the A&M marching band. After graduation, Mossman, an ROTC student at A&M, was called into the Untied States Army. He served as a lieutenant during the Korean War, assigned to an army quartermaster unit in Fairbanks, Alaska. After discharge, he decided to go to law school and was accepted by the College of Law at the University of Oklahoma. He graduated with the Law School class of 1956 and became a member of the Oklahoma Bar soon thereafter. He then worked in the office of the Noble County district attorney and later joined a law firm in Oklahoma City. In 1963 he moved his office to Woodward and represented clients throughout northwest Oklahoma. He served as legal counsel for the town of Fort Supply for many years. In 1994, the city commission of Woodward appointed Mossman the municipal judge, adding the duties of the state’s first non-metropolitan juvenile judge to his responsibilities. Mossman enjoyed that work most of all, dealing with minors who were charged with violating the law. Many of those whose cases he heard – and their parents – were later known to thank Judge Mossman for his fair yet stern decisions. 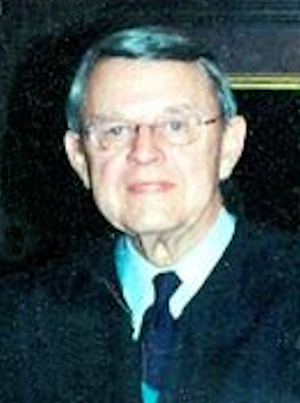 He retired from the judgeship on Dec. 31, 2000. Mossman was the father of two sons born during his first marriage, Tom Mossman, who is now living in Oklahoma City, and John Mossman, a resident of Lawndale, Calif.
Mossman married Helen Madamba Seeman on April 3, 1977 in St. John’s Episcopal Church, Woodward, and they made their home on 20th street for nearly 30 years, until he was diagnosed with Alzheimer’s disease. Five years ago, he made his home in Grace Living Center until his death from respiratory pneumonia on March 19, seven days after his 84th birthday. During his stay at Grace, Romaine became the friend of many of the staff, with whom he shared his love for music. Helen Mossman, his widow, lives in Woodward. Among Mossman’s living relatives are his granddaughters, Lauren Mossman, a high school senior in Las Vegas, Nevada, Ashley Brown and his first great-grandson, 13-month old Ethan Brown, of Pocatello, Idaho. Other family members are Tom’s wife Cindy and John’s wife Emily, and his step children, Jayne Speich, Saralee, Kevin and Dan Seeman, and Steve and Reese Kelle.